Yang FuKui (1799-1872), better known as Yeung Lou Sim, was born in Yongnian County in Northern China’s Hebei Province. Because of poverty, he had to leave his home village at the age of ten for Chenjiagou in Wenxian County in Central China’s Henan Province to make a living. He served as an attendant in the Chen family there and learned the “Lao Jia” (traditional form) style of the Tai Chi Chuan as well as “Push Hand” and combat with weapons from the famous Chinese boxing Master Chen Changxing (1771-1863). After three trips and many years of industrious study and practice, he returned to Yongnian. Before his departure for his home village, Chen Changxing told him that since he had become skillful martial artist, he would not have to worry about food and clothing for the rest of his life. When Yeung Lo Sim returned to Yongnian County, he put up at the Tai He Tang drugstore, which was run by the Chen family of Chenjiagou. The house was belonging to the Wu brothers’ (Wu Chengqing, Wu Heqing and Wu Ruqing) were all enthusiasts of the folk martial art. They admired Yeung Lou Sim’s superb skill and learned martial art from him. The local people in Yongnian County held Yeung Lou Sim in high esteem and praised his Tai Chi Chuan as “cotton boxing”, “soft boxing” or “solvent boxing” for its wonderful effects in overcoming the strong and beating the adversary without injuring him and for its flexible attacking and defending tactics. At that time, Wu Ruqing was a councilor in the Sichuan Office of the Judicial Department of the Imperial Court. He recommended Yeung Lou Sim to teach Tai Chi Chuan in the ancient capital city of Beijing where many nobles of the Qing Dynasty learned martial art from him. The House of Prince Duan, one of the royal families in the capital, and employed a large number of boxing masters and wrestlers, and some of them were anxious to have a trial of strength with Yeung Lou Sim, but he invariably declined their challenge politely. One day, a famous boxing master of high prestige insisted on competing with Yeung to see who was the stronger. The boxer suggested that they sit on two chairs and pit their right fists against each other. Yeung Lou Sim had no choice but to agree. Shortly after the contest began, that boxing master started to sweat all over and his chair creaked as if it was going to fall apart. But Yeung Lou Sim looked as composed and serene as ever. Then he got up and in a gentle tone to onlookers: “The master’s skill is indeed superb. Only his chair is not as firmly made as mine.” The man was so moved by his modesty that he never failed to praise Yeung’s exemplary conduct and unmatched martial art skill. Later on, whenever anyone wanted to try his power with Yeung Lou Sim, Yeung would throw the challenger to the ground without injury him. In this way, Yeung Lou Sim gained great fame and high prestige and was nicknamed “Yeung the invincible.” He was later appointed a martial art officer in the Qing Court with the rank higher than the 7th grade official. When he paid a visited to Chenjiagou to see his old friends, he received a warm welcome. The number of people wishing to learn Tai Chi Chuan began to increase. To meet popular needs, Yeung Lou Sim gradually transforming his traditional Tai Chi Chuan Solo Form. After revisions by his third son Yeung Kin Hou (1837-1917), this series of solo form known as “Zhong Jia” (medium form). Later, it was again revised by Yeung Ching Po (Yang Cheng Fu) (1883-1936), the third son of Yeung Kin Hou, which finally developed into the present “Da Jia”(large form) style because of its extended and natural posture, slow and even movements. It was different from his uncle Yeung Ban Hou’s style which was known as “Xiao Jia”(small form). This is now the most popular Yang Style of Tai Chi Chuan. The Yang Style of Tai Chi Chuan was born out of Chen, Changxing’s traditional 108 form or “Lao Jia”. 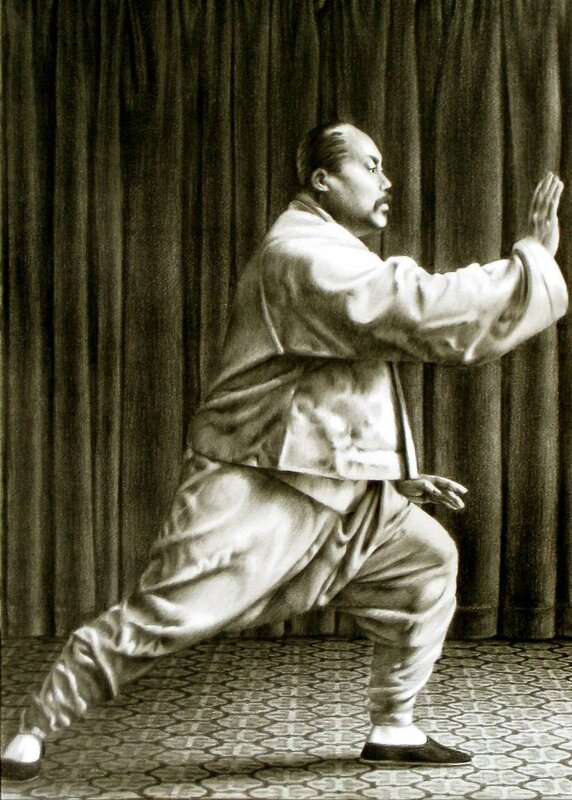 The movements are relaxed, even and graceful like the drifting clouds and flowing stream, quite unlike the Chen, Changxing’s traditional style which emphasis more on the martial art value with many hands and feet techniques. The performance of the Yang Style of Tai Chi Chuan is terse and simple and always move in a circular path, just like “reeling off raw silk from a cocoon.” The movements are naturally combined with breathing which should be deep and should “sink to the dan tien” (a point in the lower belly slightly below the navel). Good for the health and known for its curative effects, the Yang Style Tai Chi Chuan which is easy to learn has caught the fancy of an increasing number of people, and that is why it is more popular than the Chen, Changxing’s Traditional 108 Style. The magnificent skill of three generations of the Yeung Family Members won them great renown throughout the capital. What was noteworthy was the fact that they unstintingly passed on their skill to many young people, which is perhaps one of the reasons why there are so many followers of the Yang Style Tai Chi Chuan today. In 1928, Yeung Ching Po was invited to teach in the South successively in Nanjing City, Shanghai City, Hangzhou City, Gangzhou city and Hankou city. Thus the Yang Style Tai Chi Chuan spread throughout China. Noted for its extended and natural postures, well knit gentle and steady movements, the Yang Style Tai Chi Chuan combines vigor with gentleness, with its actions following a circular path. Each and every movement contains the technique of countering and overpowering the adversary. The Yang Style Tai Chi Chuan can practice in many way. Stance has three levels: high, medium and low. 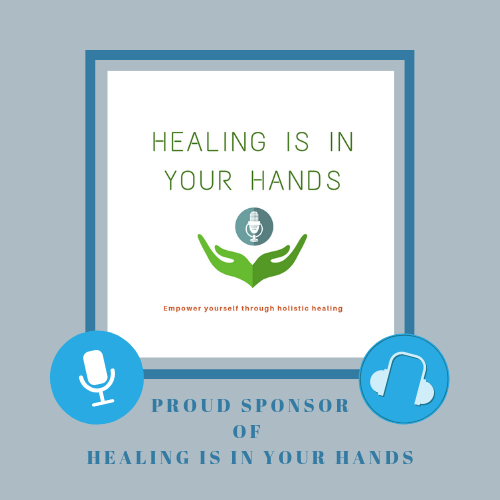 The circular motion on the hands and the body has large, medium and small. The beginner may determine the amounts of exercise in accordance with his or her age, physical conditions, objective and specific requirements. Because the movements are extended, natural, gentle, nimble, graceful and unique in style, as well as simple and easy to learn, the Yang Style Tai Chi Chuan love by many people. Yeung Ching Po, one of the founders of this style, was a great martial art master of his time. Whenever he practiced, he strictly followed the routines and was never lax in his movements. The movements his entire body embody the quintessence of Tai Chi Chuan exercises. Yeung Ching Po once said “Tai Chi Chuan is an art with strength concealed in the gentle movements, like an iron hand in a velvet glove or a needle concealed in cotton.” He cautioned beginners to always keep to the roundness and relaxation in their movements which, he said “must be gentle, natural, flexible, and smooth as well as synchronized with one’s mind.” Actually, this is a summing up of his own experience and attainment. After Yeung Ching Po came to the southern China, He gradually realized that Tai Chi Chuan had the efficacy of treating chronic diseases, building up one’s health and bringing longevity. When he gave Tai Chi Chuan exhibitions in the “Zhirou WuShu Association” during his early dates in Shanghai, which was set up by his disciple Chen, Wei Ming, an editor working in the “Qing Dynasty History Institute”, he performed the movements of kicking with speed and force. Later, however, to suit the needs of treating chronic disease, he changed them into slow movements with inner exertion of force. And in such movements as punching downward and punching the opponent’s pubic region, he only made initiations instead of manifest exertions of force, thus making the set of movements continue and evenly pace. Yeung Ching Po was stalwart and handsome man. Creating a style all his own, he had mastered extraordinary skill in “Tui shou” Push Hands and was good at both attack and defense. Through his punches were delivered in a gentle manner, they were as hard as steel bar wrapped in soft cloth. He could deliver a stunning blow with only little action, and no sooner had the opponent felt that he was attacked than he was flung several meters away without being hurt. While other styles might regard injury the opponent as the main objective, Yeung Ching Po merely overpowered the opponent without hurting him, thereby blazing a new trail for the art of attack in the martial arts. This small wondering many beginners not only wanted to master the skill but enjoyed doing. Yeung Siu Hou (1862-1930), Yeung Ching Po’s elder brother, was also a famous Tai Chi Chuan master who learned most of his skills from his uncle Yeung Ban Hou and, like his uncle, he was bellicose by nature. His Tai Chi Chuan style was originally similar to his brother’s, but later, it gradually changed to the high stance style with lively footwork and well knit small movements, alternating quick with slow action. He was swift and powerful in delivering his blow and, with eyes blazing like torches, a grim smile on his face and roaring and howling as he darted back and forth, he was held in awe by others. The technical features of this kind of Tai Chi Chuan were: over coming strong attacks with soft movements, adapting oneself to others’ movements and following up with quick attacks, using the motion of “sudden connection” to defeat the opponent with surprise attacks. The hands movements included catching, pushing and capturing, injuring the attacker’s muscles and harming his bones, attacking the opponent’s vital points and “controlling” his arteries and veins, using “continuous” and “sudden connection” force to throw the attacker to the ground with lighting speed. When teaching his students, Yeung Siu Hou would attacked them without pulling his punches. His attacking movements were swift and ferocious, and his facial expression was changeable and varies. All this made it difficult for his students to imitate, which was why many of them dropped out halfway. And that was also perhaps why Yeung Siu Hou’s Style of Tai Chi Chuan was not as popular as Yeung Ching Po’, though the two brothers enjoyed an equally high reputation during their lifetime. Yeung Siu Hou followed his brother to the southern China and taught in Shanghai City and Nanjing City. Many officials and rich merchants vied with one another to learn from him. Yeung Ching Po’s techniques improved and matured with the passage of time. In his middle age, his skill reached its apex, and his performance had that touch of magnificence and gallantry as few masters could acquire. In the book “Tai Chi Chuan Techniques” written by his disciple Chen Wei Ming in 1925, there were 37 photographs showing Yeung Ching Po in different postures and four photographs showing Yeung Ching Po doing Push Hands exercises with Xu Yusheng. In the book “A Manual of Tai Chi Chuan” complied by Zheng Manqian in 1934 for Yeung Ching Po, there were 104 photographs. Although Yeung’s weight was 290 pounds at that time, his movements were natural and relaxed, combining vigor with gentleness. It could be said that he had attained the acme of technical proficiency. Yeung Ching Po’s eldest son, Yeung Sau Chung (1907-1985), has been teaching Tai Chi Chuan in Hong Kong since 1949 until his death in 1985. Yeung Chung Kee, his second son, retired chairman of The Handan Wushu Association, living at home in Yongnian County, Hebei Province. Yeung Chung Tood (Yang Zhendou), the third son, is living and teaching Tai Chi Chuan in Tai Yuan City, Shanzi Province. He is also the chairman of Shanzi Yang Style Tai Chi Chuan Research Association. In November 1961, he went to Shanghai City to give a Tai Chi Chuan exhibition which caused a great sensation. Many Tai Chi Chuan enthusiasts made a special trip to Shanghai to watch him performed. Yeung Sau Chung had three daughters from his second wife. They are Yeung Tai Yee, Yeung Ma Lee and Yeung Yee Li, who are living in Hong Kong and carry on their family art of Tai Chi Chuan. His first disciple, Ip Tai Tak, retired and living in Hong Kong. His second disciple, Gin Soon Chu, has been teaching Tai Chi Chuan in Boston, Massachusetts since 1969. His third disciple, K.H. Chu, is teaching Tai Chi Chuan in England and Europe.